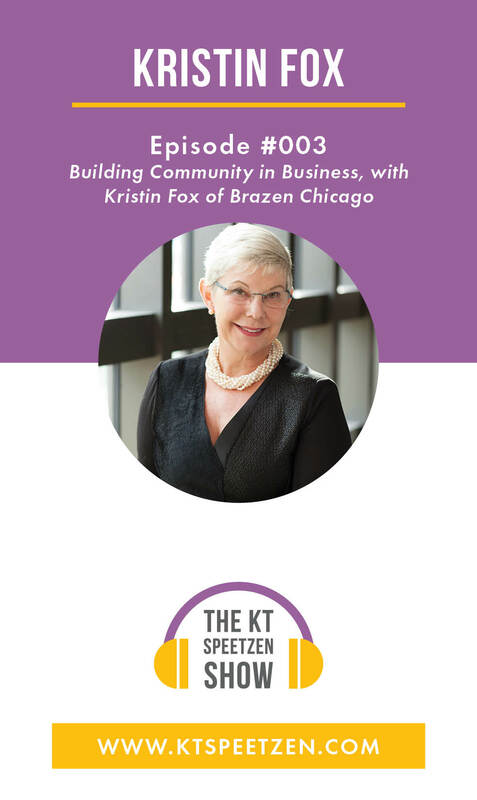 KT is back to chat with Kristin Fox the community leader at Brazen Chicago. Kristin began her career as a a journalist and in the early 90's she dived into hedgefunds and in 2001 she became one of the founding members of 100 Women in Hedge Funds, now known as 100 Women in Finance. Kristin is here to chat about how to and why you should grow community. If you are wondering how you can grow your community or you are looking for mentorship opportunities, this episode is for you! Kristin Fox is a serial entrepreneur, brand builder, master networker, angel investor and award-winning journalist. She has spent more than two decades bringing alternative investment managers and investors together to engage and educate one another, creating better informed investors on both sides of the table. Her career highlights include: President of Hedge Fund Research, Inc., where she created the firm’s signature conferences and ran the HFR Journal; Director of News & Research/Executive Editor, HedgeWorld, where Kristin ran the news, education and conference division of the industry-standard information business that was sold to Reuters in 2005. Following her tenure at Thomson Reuters, she formed FoxInspires LLC, which provides private label educational materials and events, as well as media relations for investors and managers. Kristin also is a founding board member of 100 Women in Hedge Funds, now 100 Women in Finance. She is a co-founder of FinFoundHer, a 2-day experiential education event designed to help women founders get funding. She is the acting director of Brazen Chicago, which provides business-focused programs to a national member network of growth-seeking female presidents, founders and CEOs.